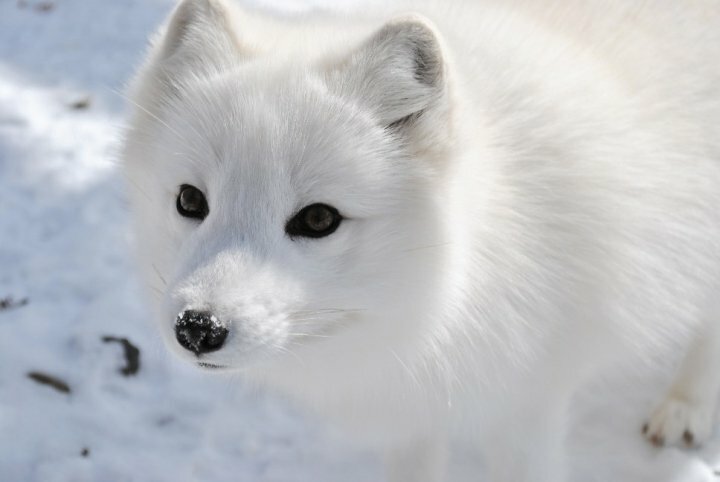 We searched for over four years to locate pure Arctic Foxes. 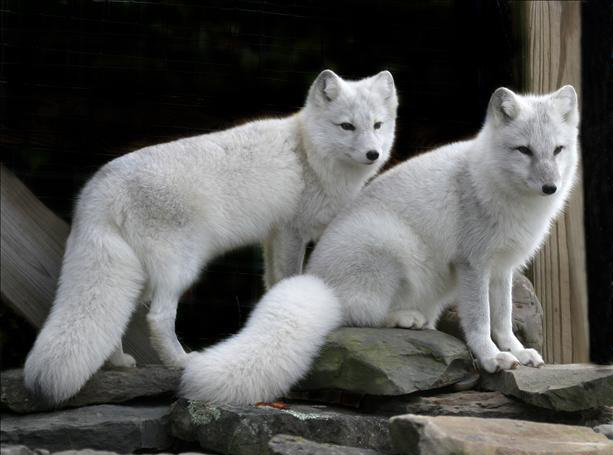 We found many white foxes and some that people called "arctics" but they were not the real thing. These animals have shorts ears and legs, short flatter face than red foxes and they have round pupils. Yukon and Yana joined the center in 2009; in 2014 we were blessed with four kits; Annui, Blizzard, Matu, and Snowflake. Sadly, Annui passed away in her sleep in late 2018. We offer the foxes a menu of fish (trout), some venison, raw chicken legs, mice, and an occasional red squirrel or rabbit. Their enclosures are large and are set up with many agility challenges and a pond; Yana & Yukon also have blackberry bushes which provide another source of snacks during the warmer months. During the heat of summer, staff prepare special "foxicles" made of frozen water encased with treats such as various berries or fish parts. As the ice melts and the foxes gnaw, the yummy treats are revealed as a reward! Sometimes the fox simply curl around the large chuck of ice to stay cool.